Tommy Wells now runs a blog on which he talks about stuff. Chris Wells - this is fairly old- from when Chris was in high school. 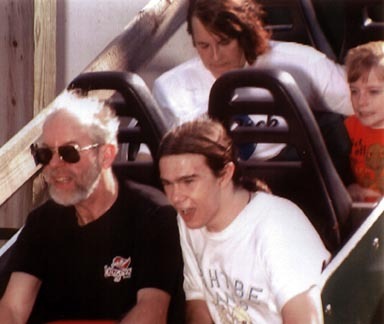 Robert, Chris, Ann, and Tommy Wells riding the Mean Streak roller coaster at Cedar Point in Sandusky, Ohio, July 28, 1998. Its a screamer!